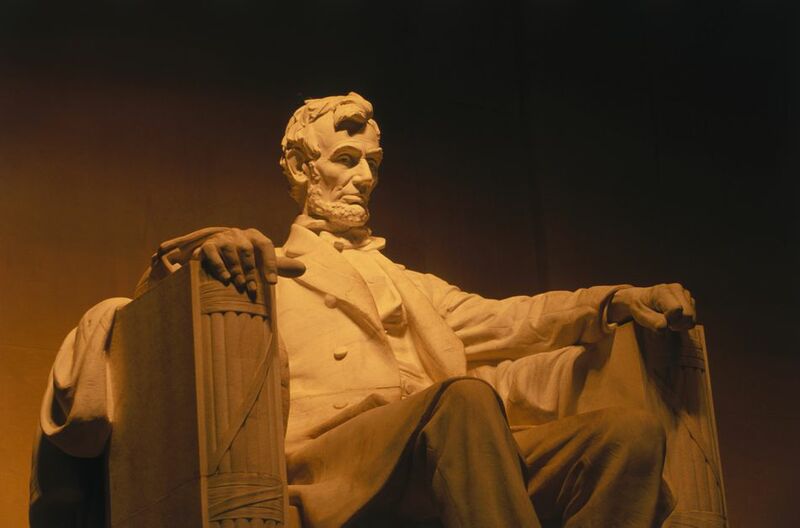 As a lawyer and the sixteenth president of the United States, many will be surprised to learn that Abraham Lincoln didn't make a will before he died. A little more than two years after his assassination in 1865, Mr. Lincoln's intestate estate, valued at $110,300 (at that time, this would equate to a few million in today's dollars) was equally divided three ways among his wife, Mary Todd Lincoln, and his two sons who were living at that time, Robert and Thomas. To learn more about Mr. Lincoln's estate, refer to Are You Better Prepared Than Abraham Lincoln Was? As a civil rights activist who faced death threats, it's surprising that Dr. Martin Luther King, Jr. didn't make a will. And while Dr. King was assassinated in 1968, today his family is still fighting over control of his estate. It was only a few years ago that the King children were at odds about how the corporation that had been set up to oversee the estate was being run. More recently they have started a battle over his Nobel Peace Prize medal and personal traveling Bible - his daughter wants to keep them and his sons want to sell them: Martin Luther King Jr.’s children battling over the estate. A perennial top-earning dead celebrity, singer/songwriter Jimi Hendrix died in 1970 at the young age of 32. Without a will, Mr. Hendrix's estate ended up in the hands of his father, Al Hendrix, after a battle with two children the singer/songwriter allegedly fathered out of wedlock. Sadly, after Al Hendrix died in 2002, his other children fought over the rights to their famous brother's estate due allegations that Al Hendrix was unduly influenced to change his will to disinherit Jimi's brother, Leon. Shortly after eccentric billionaire, Howard Hughes died in 1976, a handwritten will surfaced that was being held by an official of the Church of Jesus Christ of Latter-day Saints in Salt Lake City. Dubbed the "Mormon Will," it left $1.56 billion to several charities; nearly $470 million to executives of Hughes' companies and his aides; $156 million to Hughes' first cousin, William Lummis; $156 million split equally between his two ex-wives, Ella Rice and Jean Peters; and $156 million to a gas-station owner named Melvin Dummar. Dummar claimed that he had met Hughes at his gas station in 1967 and had driven the billionaire to Las Vegas. A few days later a mysterious man appeared at the gas station and gave a document to Dummar for safekeeping, which turned out to be Mr. Hughes' will which Dummar then gave to the church official. A trial was held in Las Vegas in 1978 in which a jury determined that the Mormon Will was a forgery, so in the end, 22 intestate heirs inherited Mr. Hughes' massive estate. While it may seem surprising that singer/songwriter Bob Marley, who was diagnosed with cancer in the summer of 1977 and died four years later at the young age of 36, didn't have a will, apparently his religious beliefs prevented him from making one. That led to an interesting fight over the rights to his estate among his widow, Rita, and some thirteen children, but not before Mr. Marley's lawyer and accountant convinced Rita to forge some documents after the singer/songwriter's death that would give control of the entire estate to her. Mr. Marley has been a top-earning dead celebrity for many years, earning $20 million between 2013 and 2014 alone. And as recently as 2011, the Marley estate was in a court battle with Mr. Marley's half-brother: Are Bob Marley's Heirs Destroying His Legacy? The frontman for Seattle grunge band Nirvana, Kurt Cobain, died of a self-inflicted gunshot wound in 1994. He was only 27. But while the singer/songwriter left behind a detailed suicide note, he failed to leave a will. Cobain was survived by his wife, Courtney Love, and a young daughter, Frances Bean Cobain. Apparently, a trust known as the NMWH Trust was established for the benefit of Frances Bean, and although Love was not in charge of the trust, she was given trust accountings. In 2009 Love lost custody of Frances Bean, then 17, and in 2010 the rights to Kurt Cobain's name, likeness and appearance were taken from Love and given to Frances Bean. Steve McNair, who became famous as an NFL quarterback for the Tennessee Titans and Baltimore Ravens, was murdered by a girlfriend in 2009. He was only 36. Mr. McNair left behind a $20 million estate, a wife, and four children, but no will. It may surprise some to learn that under Tennessee's intestacy laws, McNair's wife, Jonula "Mechelle" McNair, only received a portion of the estate, with the balance going to the two children she had with her husband as well as two other children McNair had out of wedlock; McNair's mother, Lucille, received nothing. While we will never know what Mr. McNair would have really wanted to happen to his estate had he taken the time to make a will, it is doubtful that he would have wanted his mother to lose the home he bought for her. In addition, he could have made a plan that would have minimized or totally avoided $3.7 million in federal estate taxes and Tennessee estate taxes. The singer-songwriter passed away in April 2016 after a career that spanned five decades and saw him nab seven Grammy Awards. By some reports, he had assets totaling $300 million at the time of his death. But according to a court filing by his sister, Prince did not draw up a will before his death, leaving the fate of his estate up in the air.